A blend of tidal marsh carries, scrub-topped dunes and wildly undulating greens pair with 7,600 muscular yards to form a relentless mix of beauty and brawn. 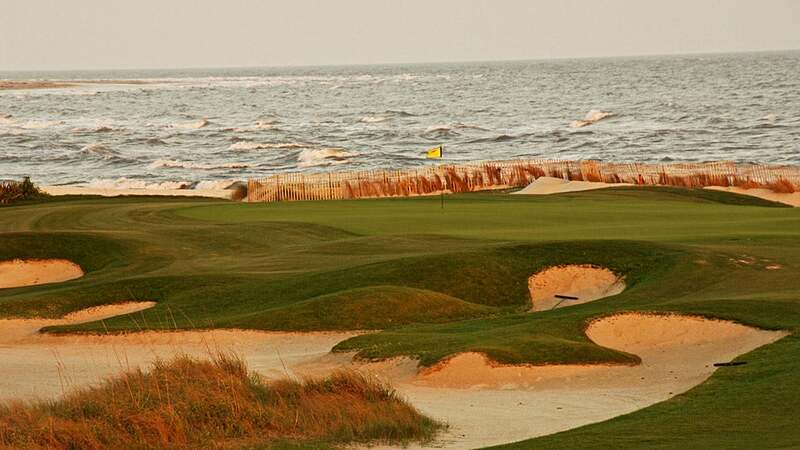 While architect Pete Dye has softened his greens and their surrounds over years, the Ocean Course remains among the toughest tests in the country. That's what competitors in the 1991 "War by the Shore" Ryder Cup maintain; Rory McIlroy, who decimated the course in winning the 2012 PGA Championship, might feel differently.